Your social health that is, because unless you're in line with Facebook's (recently updated) Promotional Guidelines your fab, feel good competition could actually result in your beloved page being removed from the site without a single word or warning. It's hard to take the guidelines seriously given the sheer number of regulation breaches you see on Facebook every single day - but if you own (or worse) administrate a page for a brand, can you really risk logging on to find out that 'this page no longer exists'? Here's a rough guide to the rules but please do subscribe to the Facebook news feed! You can't run a competition where you have to 'LIKE' a page to enter. You can't run a competition that allows people to enter by checking in at your location, liking a status update, message, photo, video or link. You can't run a competition on your Facebook wall. It HAS to be via a third party app or on another website. You can't notify your competition winners via Facebook AT ALL. No status updates, wall posts, comments or direct messages. You can't ask people to join Facebook to enter a competition. You can't ask people to upload content for a competition (pictures, videos or other content) to your Facebook wall. Run a Facebook competition using a third part app like Wildfire. 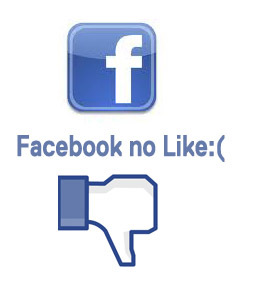 Ask people to 'Like' you page before entering your competition using a third party app or on another website. Collect contact information and data from your entrants when using a third party app for your competition. Run your competition from your website or blog and promote it via your Facebook wall. Include a disclaimer on your competition app or wherever your comp is hosted stating that your competition is in no way related to Facebook. Disclose to the entrants that they are sharing their data with you and not with Facebook. Ensure that competition entrants aren't staff, sponsors or associates of Facebook. All competitions should comply with country specific laws and regulations which means that the burden of responsibility is in the hands of the page owner or administrator.... Yes YOU. Please take time to read through the official guidelines, not knowing is not a valid excuse. I'm on the hunt for some bloggers from all walks of life but especially those with children (and bumps) of all ages to work with on some exciting campaigns that I have coming up after CyberMummy. If you'd like to be considered please leave your details below (even if you think I already have them as my list is getting a total re vamp) and I'll be in touch soon.